The newest season will include 20 episodes, featuring guests like the late Anthony Bourdain, Jeff Goldblum, Al Gore and a variety of other pop culture and media icons. Dust off your telescopes. 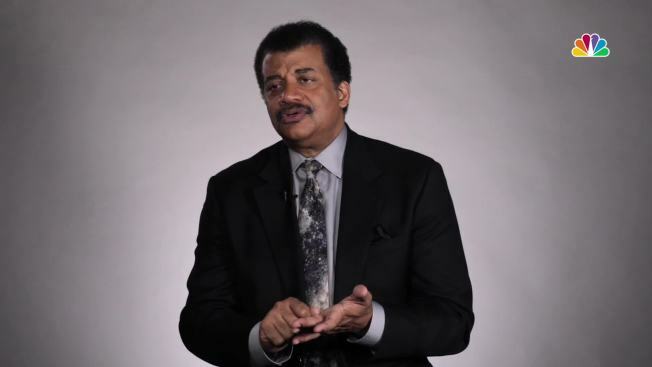 The fifth season of astrophysicist Neil Degrasse Tyson’s show "StarTalk" is set to return to National Geographic on Monday, Nov. 12. The show invites celebrity guests to weigh in on scientific topics with the show’s panel of experts and comedians. The star-studded show is a spin-off of Degrasse Tyson’s hit podcast by the same name. The newest season will include 20 episodes, featuring guests including the late Anthony Bourdain, Jeff Goldblum, Al Gore and a variety of other pop culture and media icons. Degrasse Tyson stopped by NBC’s studios to talk about some of this season’s highlights and his favorite science-related pop culture moments.